​Andrea Horwath says she will do her best to keep incoming premier Doug Ford's government in check, but says it will be challenging given that Ford has not been "straight up" about the cost of his promises. 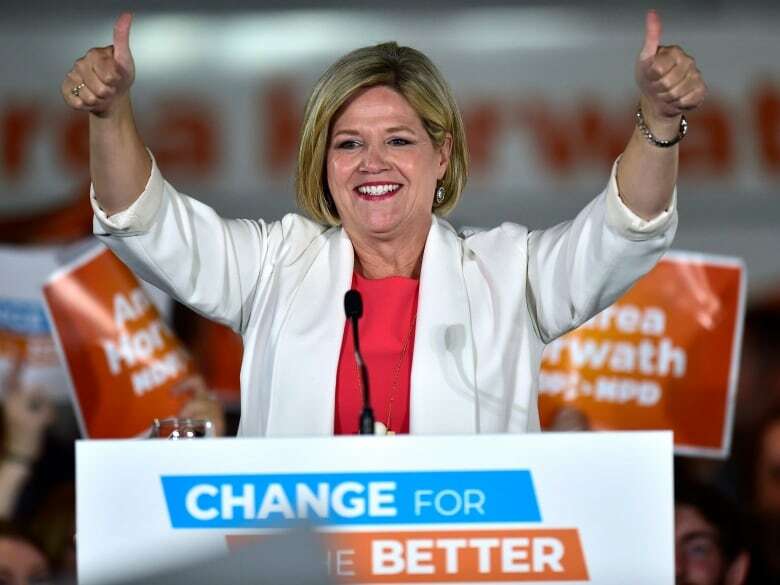 Horwath's NDP won 40 seats on election night in Ontario and will form the Official Opposition once work resumes at Queen's Park, likely in the fall. "Forty seats, again, is not government, but it an opportunity for us to hold Doug Ford's feet to the fire," Horwath told CBC Radio's Metro Morning on Tuesday. Horwath, who won her Hamilton Centre seat handily, says the party will fight hard against any cuts to government services. You can listen to the full interview in the audio clip below. "We were hoping to form government and be able to implement our ideas. People gave us the Official Opposition role, which is nothing to sneeze at, particularly with Doug Ford at the helm, in my opinion. So we're going to be busy." Horwath says the party wanted to win but it considers the results to be a success. "We knew that it was either going to be Ford or myself, in terms of the win. We really didn't have a final idea of what was going to happen because there were lots, as you know, lots of seats where the vote was pretty close," she said. "We were hopeful. But again I respect the decision that people made in Ontario and look forward to doing my best as the official opposition leader to find out exactly what Mr. Ford has got in mind." 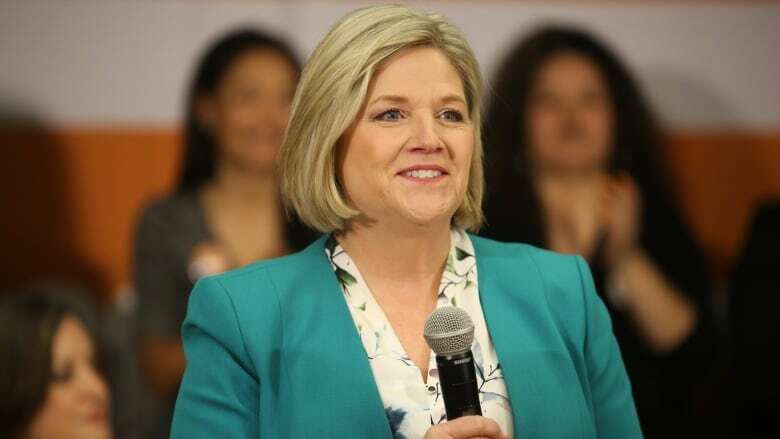 The NDP will focus on encouraging Ford "not to cut the things that people rely on," Horwath said, adding the NDP believes in investing in public services. Asked about whether there is room to work constructively with Ford, she said: "Well, that's going to be up to Doug Ford, I think. He's going to set a tone and we're all looking to see what the tone will be." 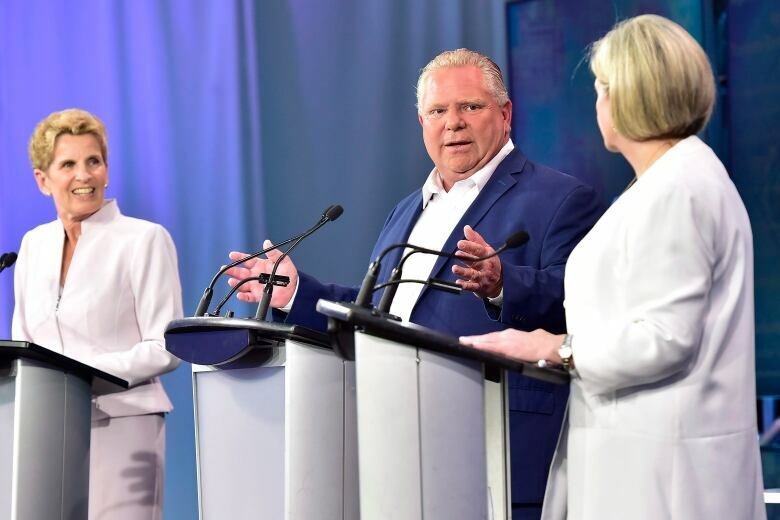 Horwath, however, expressed concern that Ford, unlike past PC leaders, did not spell out the financial details of his platform during the campaign. She said he appealed to voters through promises of tax cuts but did not say how he would pay for them. "That's what make him different from the other conservative leaders. Mr. [Tim] Hudak was straight up what he intended on doing. Mr. [Mike] Harris was straight up about what his plans were. Federally, [Stephen] Harper was pretty straight up," she said. "Here we have somebody who was elected now as the premier of the province who hasn't really been upfront about what his plans are in terms of cuts." For example, on the issue of overcrowded hospitals, she said, it is not clear how much the Ford government will spend to fix that. To prepare for the fall, she says the NDP caucus will meet and will connect with its communities it serves. Horwath says she is pleased the NDP caucus is more regionally diverse than before and half of its members are women. "We represent all kinds of different types of ridings," she said. The NDP leader noted that the party picked up seats in Brampton, Scarborough and northern Ontario. Young people also volunteered their time to the party during the campaign, she added. Horwath says she intends to stay on as Ontario NDP leader, given that the party nearly doubled the number of seats it holds in the legislature. In 2014, it won 21 seats. Ford will officially take office on June 29th.